DFS Group opened its first store in Cambodia on March 22nd. 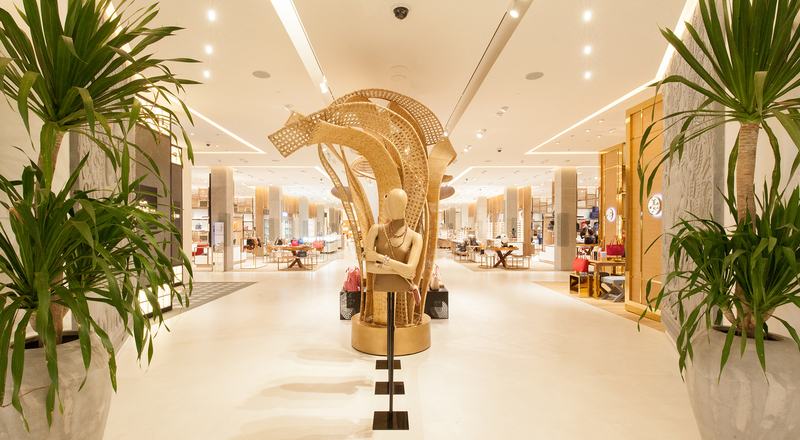 Located in Siem Reap, near the ancient temple of Angkor Wat, T Galleria by DFS offers travelers a complete duty free shopping experience. 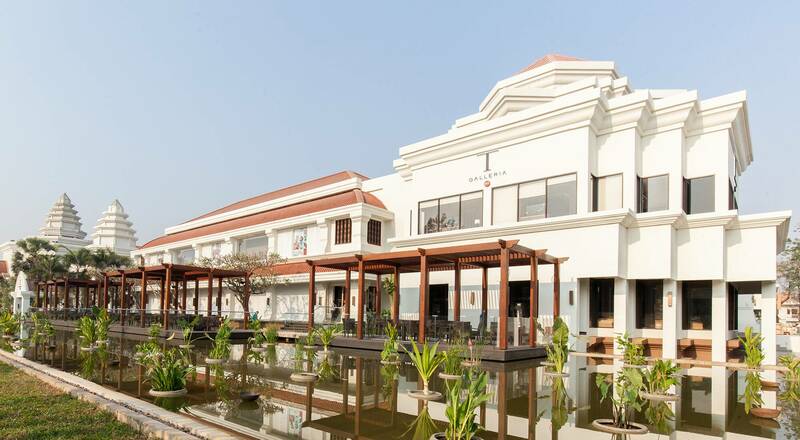 Over 86,000 square meters of floorpsce, T Galleria Angkor features 170 international brands in four categories: fashion and accessories; watches and jewelry; wine and spirits; and beauty and fragrances. Some of the brands are now available in Cambodia for the very first time. T Galleria Angkor celebrates the culture and rich heritage of the Siem Reap region, evoking local architecture with traditional Khmer motifs. Travelers visiting the store will also find locally handcrafted artisan products. DFS has teamed up with Artisans d’Angkor, a socially-conscious business aimed at revitalizing traditional Cambodian craftsmanship, to develop an exclusive collection of handwoven silk products. 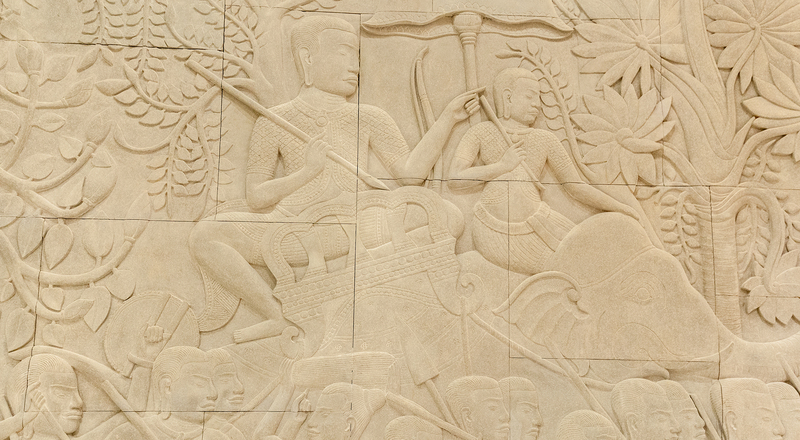 Combining international brands and Cambodian craftsmanship, DFS offers a global experience to the six million international travelers who visit Cambodia each year. DFS Group celebrated the grand opening of its first Cambodian store – T Galleria by DFS, Angkor – with a gala event on Thursday, June 30. 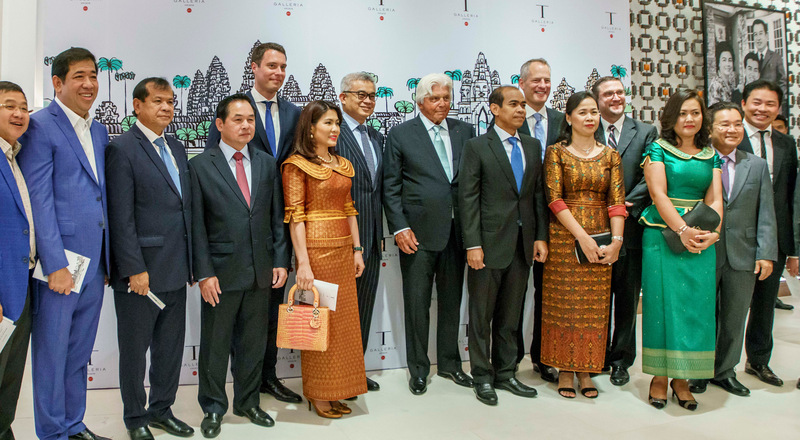 Over 300 guests including DFS Group’s Chairman and CEO Philippe Schaus and DFS Group Co-founder and shareholder Robert Miller, His Excellency Aun Pornmoniroth, Cambodia’s Senior Minister of Economy and Finance and His Excellency Thong Khon, Cambodia’s Minister of Tourism.